Have you ever seen someone post a link to a giveaway in one of our Facebook groups and ask everyone to go enter or go vote for an entry for our carrier library? Do you click and enter? Well, one of our lovely members recently entered our library in a giveaway from Little Frog, and her entry won! Thanks to her effort, we have two new Little Frog additions to our library: a ring sling and a long wrap. Charlie + Me Selfie. I need to work on Charlie’s seat a little bit. 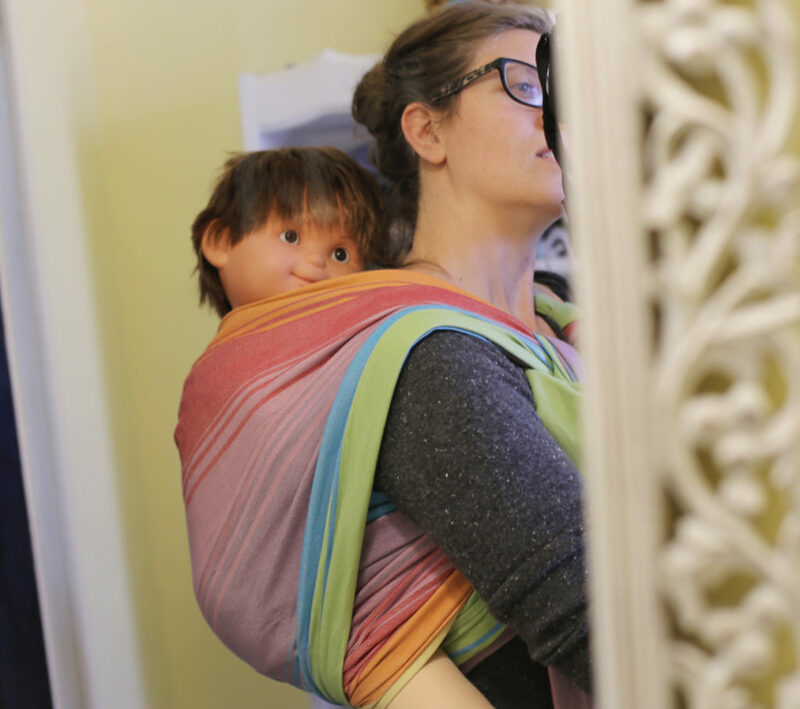 The ring sling is a medium length all cotton sling with a gathered shoulder. 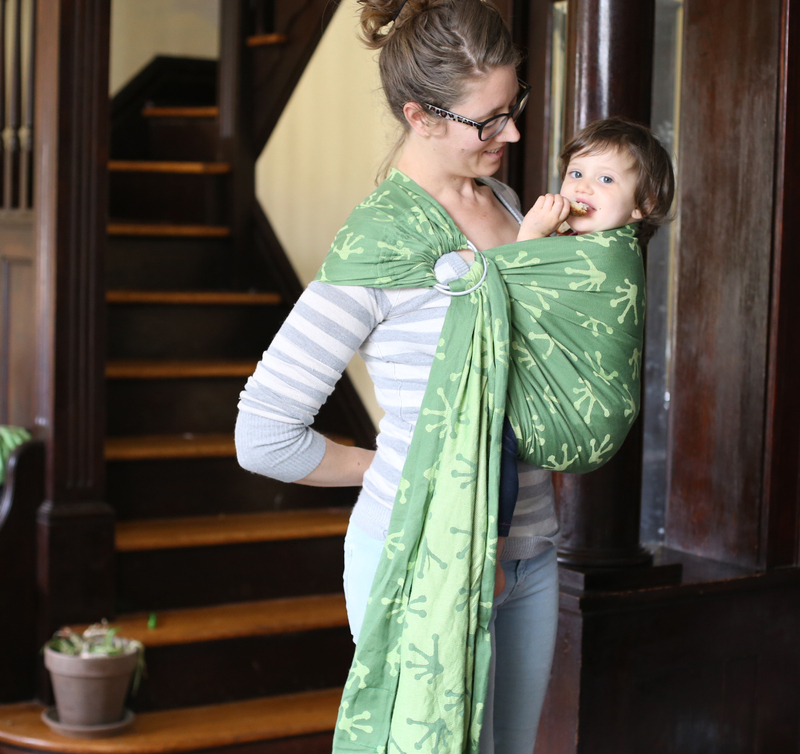 It is called “Tree Frog” and you can see why: the fabric is two shades of green, covered with little froggy foot prints! I love the dark green side with light green froggy toes. 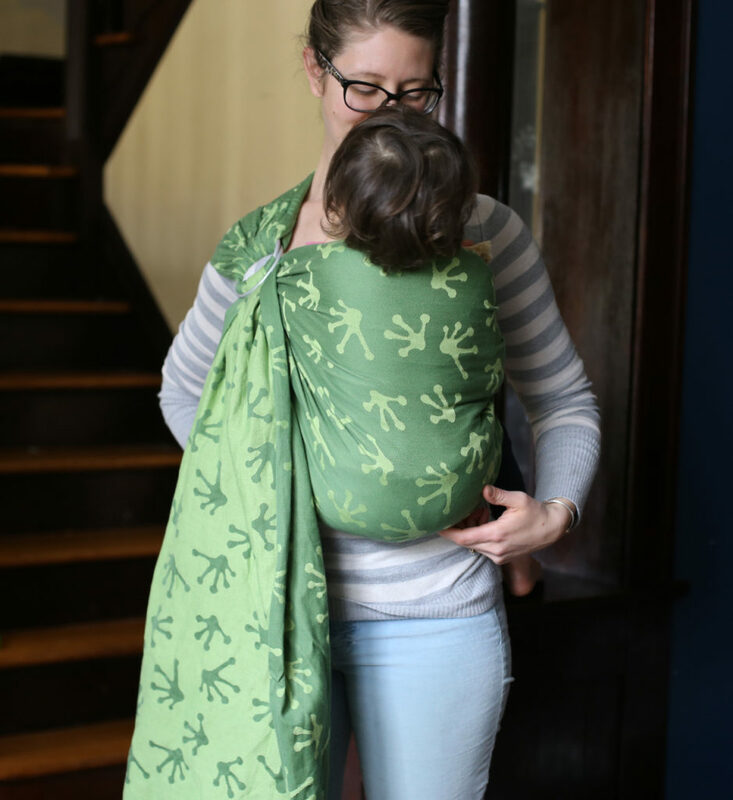 But the reverse (seen on the tail) with dark froggy toes on light green is also super fun, and the gathered shoulder is really comfortable, even with my 27lb toddler. This all cotton sling is going to soften up beautifully with a little use. Hopefully everyone is inspired by the coming Spring to show it some love! So next time you see a library giveaway, take a second to enter the BWI of STL chapter! 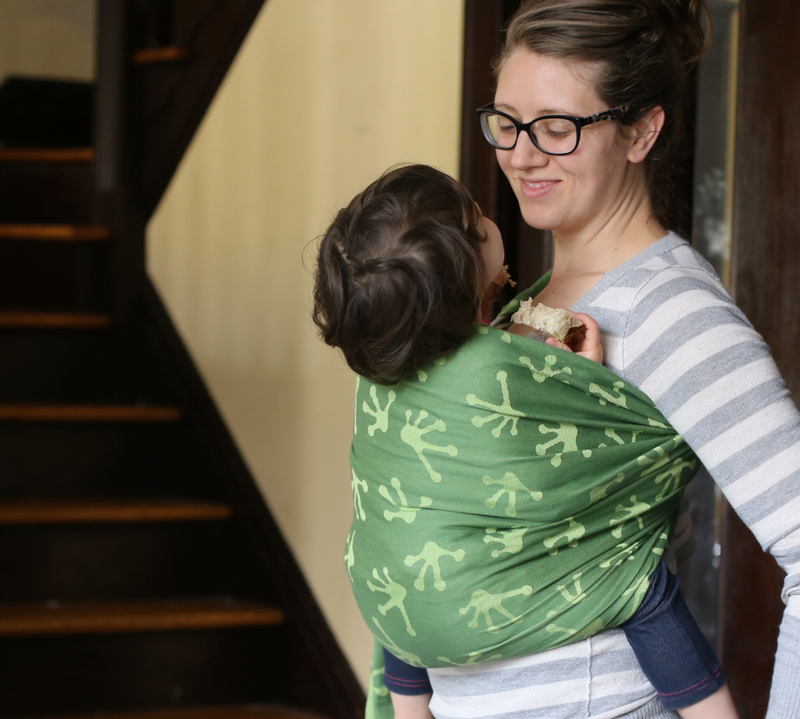 It’s a free and simple way to help out the local babywearing community. Many thanks to Little Frog for offering this giveaway!